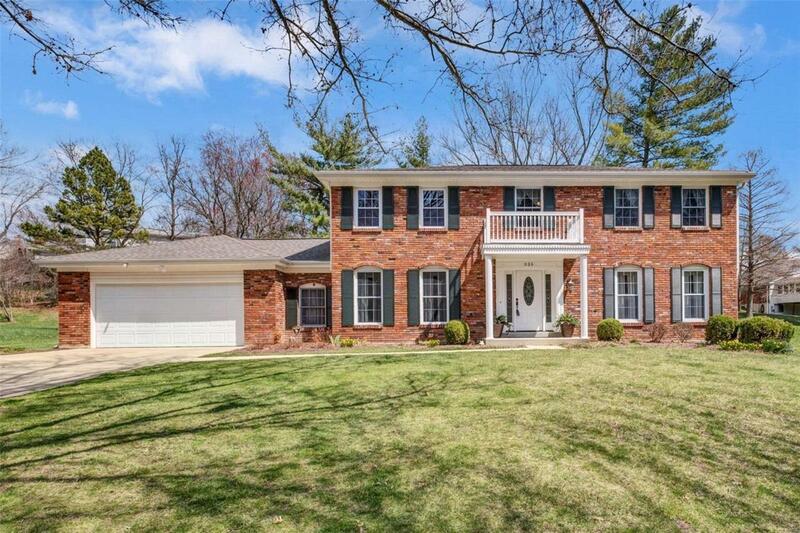 Gorgeous 2 sty in Sunnybrook Farm w/4 beds, 2.5 baths w/sensational upgrades-approx 2900 sq ft not including fin LL! 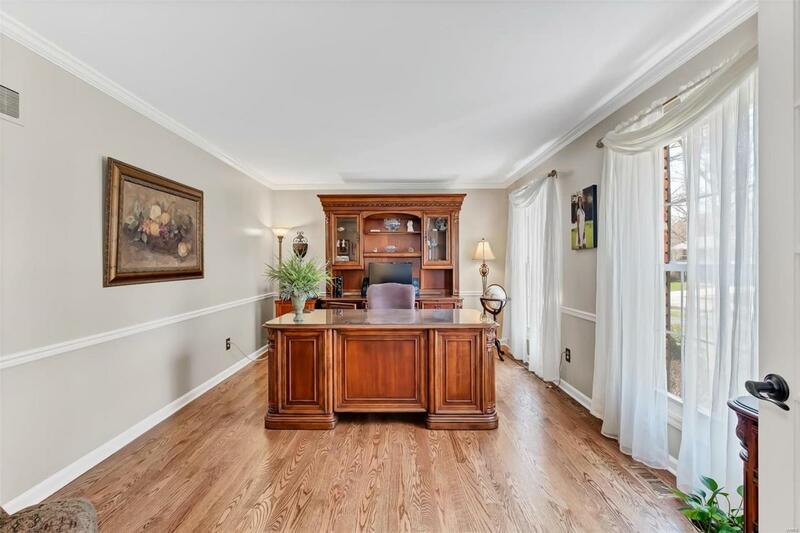 Gleaming New hardwoods in dining rm & office 2018 & remainder refinished 2018! 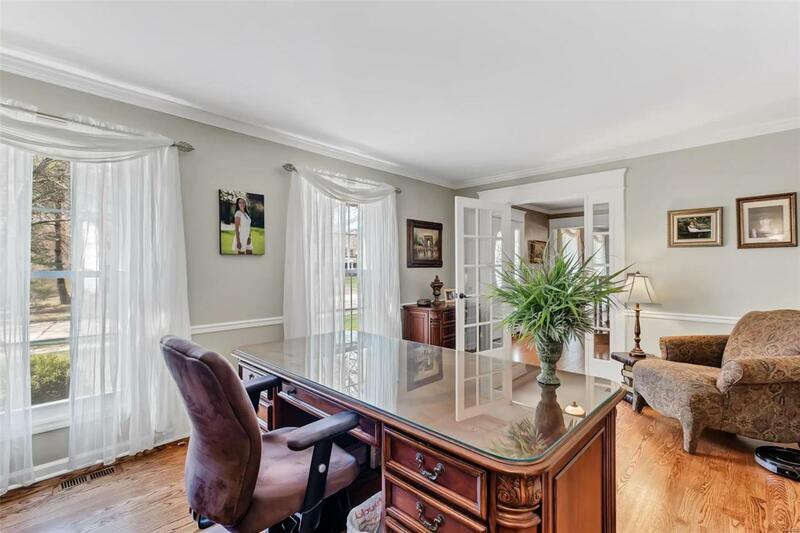 Custom millwork, family & breakfast rm additions, zoned HVAC, remodeled kitchen & baths, & finished LL! Main floor office/den. Gourmet kitchen offers an abundance of custom cabinets, granite counters, center island w/ built-in wine fridge, stainless appliances-fridge stays! Fabulous breakfast rm addition w/built ins. Kitchen opens to family rm addition w/ tiled gas fireplace flanked by custom built-ins. 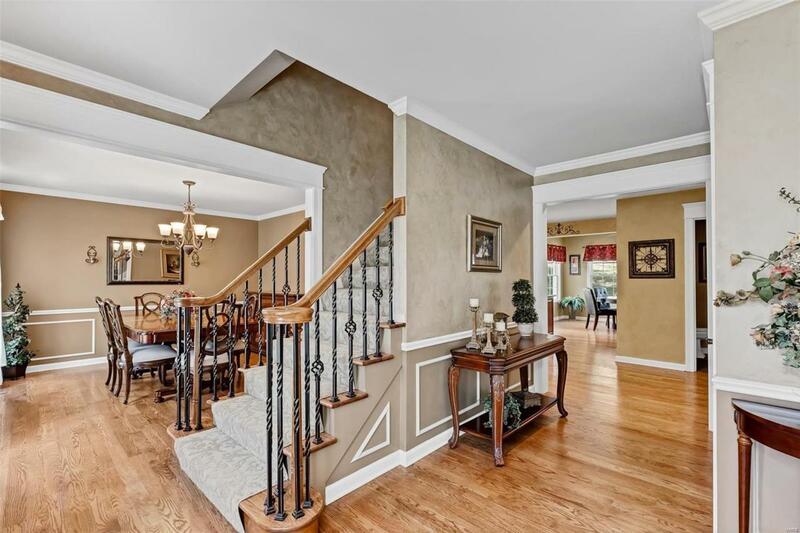 Stunning formal dining rm. Laundry rm & updated powder rm round out main floor. Upper level has Master bedrm suite w/huge walk-in closet by STL Closet Co & en suite bathrm w/double sinks & whirlpool tub. 3 more lrg bedrooms & 2nd updated full bath. The beautifully finished LL has both a media & rec rm, & new sump pump 19. Stamped concrete patio overlooks level back yard. MASON RIDGE ELEM!